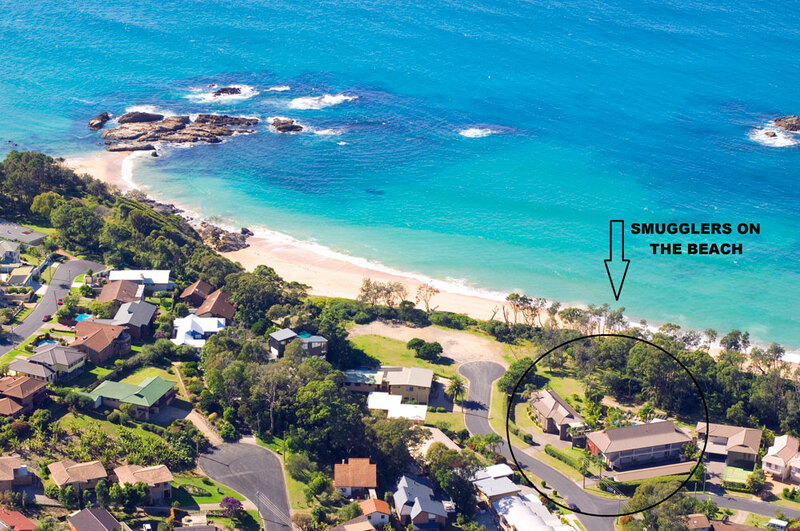 Smugglers on the Beach offers award-winning beachfront holiday accommodation in Coffs Harbour. There is something to suit everyone with 16 spacious fully self-contained resort style apartments to choose from. Whether you are a solo-traveller, couple, family, corporate traveller, or part of a large group you will certainly enjoy Coffs Harbour accommodation at its finest. All of the holiday apartments are well-appointed, with modern designs and décor, heating/air-conditioning, fully equipped kitchen, large LCD TV and linen supplied. Each apartment also features its own private patio or balcony overlooking the pool, floodlit gardens or magical Pacific Ocean. On top of all these features, Smugglers on the Beach is located just five minutes north of Coffs Harbour’s City Centre, making it the ideal accommodation choice when visiting Coffs Harbour.